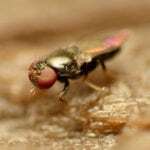 When it comes to fighting mosquitoes and black flies, Bacillus thuringiensis israelensis pest control is probably the safest method for property with food crops and frequent human use. Unlike other methods of insect control, BTI has no dangerous chemicals, doesn’t interact with any mammals, fish or plants and is targeted directly at just a few insects. Using BTI on plants is in keeping with organic gardening methods, and it degrades quickly, leaving no residue. Exactly what is Bacillus thuringiensis israelensis? While similar to its counterpart Bacillus thuringiensis, this small organism is a bacterium that affects the stomach lining of mosquitoes, black flies, and fungus gnats rather than that of caterpillars or worms. The larvae of these insects eat the BTI and it kills them before they have a chance to hatch into flying pests. This is a targeted bacterium in that it only affects those three species of insects. It has no effect on humans, pets, wildlife, or even plants. Food crops won’t absorb it, and it won’t stay in the ground. 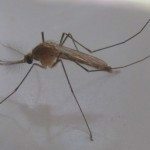 It’s a naturally-occurring organism, so organic gardeners can feel save using this method to control mosquitoes and black flies. BTI insecticide is commonly used for farms and communities, but can be spread over any sized piece of land with pest problems. Before using BTI mosquito and fly control, it’s best to remove any sources of the insects themselves. Look for any place that holds standing water that can serve as breeding grounds, such as bird baths, old tires or low depressions in the ground that often hold puddles. Remedy these situations before trying to kill off any remaining pests. This will often take care of the problem within a few days. If the pests persist, you can find BTI formulas in granular and spray form. Whichever way you choose to control pests in your garden, remember that this is a slower-acting process and the insects won’t disappear overnight. It takes a while for the bacteria to poison the bugs. Also, BTI breaks down in sunlight in 7 to 14 days, so you’ll have to reapply it every two weeks to ensure continued coverage throughout the growing season.